Andriy Melnik is the head PU “Kremenchug Development Institute” since the founding of the company. 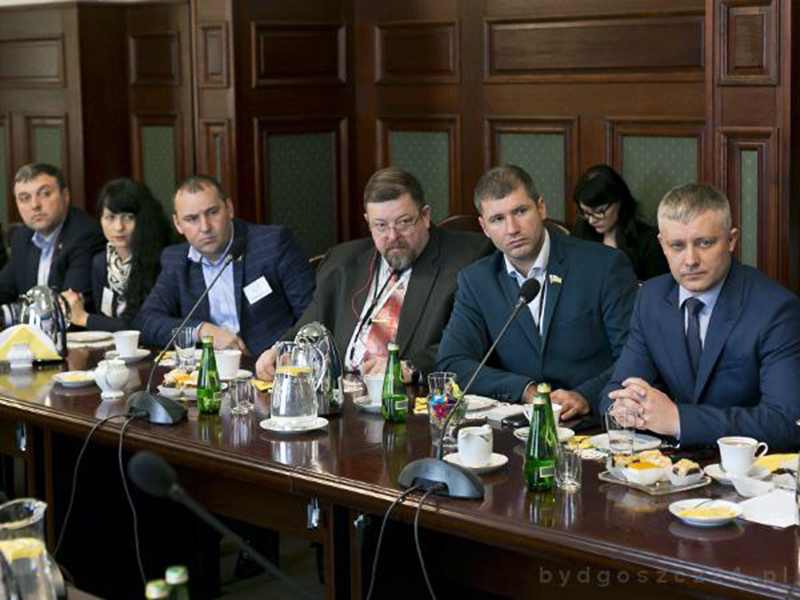 Andrii Melnyk heads the Kremenchuk Center for International Relations and Economic Development of the City “Kremenchuk City Development Institution” of Kremenchuk City Council of the Poltava region since the company’s foundation (2012). Since January 2019 – KP “Institute for City Development”. Born July 28th, 1962 in the city of Achinsk, Krasnodar Territory of the Russian Federation. His specialty is a psychologist (The State University of Tomsk, 1983). Studied at the Malopolska Institute of Local Self-Government and State Administration (Krakow, Poland, 1997). From 1996 to 2011, took internships at the United States Institute of Peace and at the Center for East European Studies, Warsaw University in 2004-2006. He trained in the Slovak Republic, Greece , The Czech Republic, the Republic of Poland and others. Participated in the INTERNATIONAL VISITOR LIDERSHIP PROGRAM as part of the internship program at the invitation of the US Department of State in the direction of “Promotion of Investments” (Investment Promotion, 2007). Andrii Vasiliovych has extensive experience in the development of regional and international cooperation. Andrii Melnyk visited 39 countries around the world. Andrii Vasiliovych is a Certified Local Economic Development Specialist (PROMIS, 2016). Since 1996 works in Kremenchuk. From 1996 to 2016 – President of the Public Organization “Association for the Promotion of International Business and Development” (ASIBR). Since 2016 – Honorary President of Associatoin of Promoyion of International Business and Development (APIBD). Andrii Melnyk has been the head of the project on the preparation and holding of the International Exhibition-Fair “The Milky Way” (1998-2008) for 11 years. 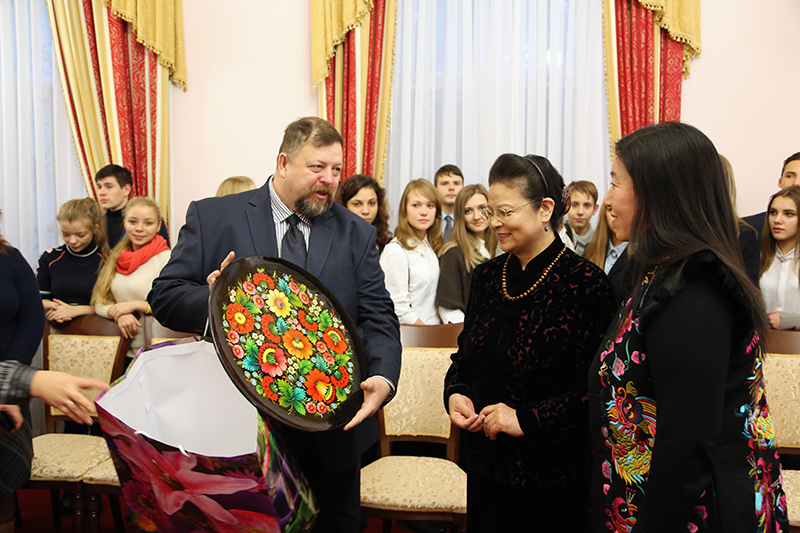 The name of Andrii Melnyk is connected with the receiving “Gong of the World”in the city of Kremenchuk (2010), the establishment of twinnings with the cities of Snin (1997), Michalovets (1997), Bitol (2003), Bydgoszcz (2004), Alytus 2017) and others. 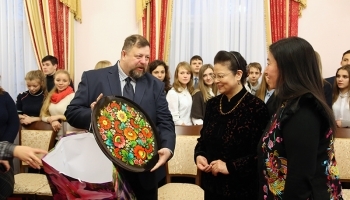 He was awarded the Honorary Certificate of the Cabinet of Ministers of Ukraine (2004), the Diploma of the Ministry of Foreign Affairs of Ukraine (2006), the Anniversary Medal in honor of the 75th anniversary of the Poltava Region “For a Significant Contribution to the Development and Strengthening of the Poltava Region”, Diplomas of the Poltava Regional State Administration, Poltava Regional Council, in the affairs of children, family and youth “For active public activities”, Honorary distinction of the 2nd degree of the Ukrainian Peace Council (2012) and others.